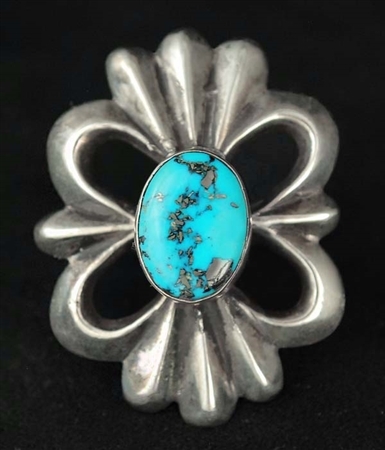 This lovely early cast ring features a beautiful design, that features a beautiful, sky blue natural Morenci turquoise stone with iron pyrite matrix. It ring measures 1 3/4" long by 1 1/4" wide. 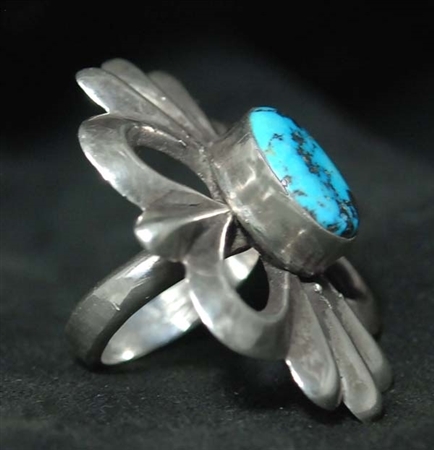 It is a size 7 and can easily be sized larger.